The 16th Annual Meridian Group Q was one for the record books under the category of “Worst Recorded Q Weather Ever”. Despite non-stop downpours and see-your-breath inducing temperatures, all five teams powered through to deliver four delicious courses to the esteemed panel of judges. This year’s competition judges included Lorraine Eaton and Judy Cowling of The Virginian-Pilot and Andy Fleming, owner of Perked Up Café. 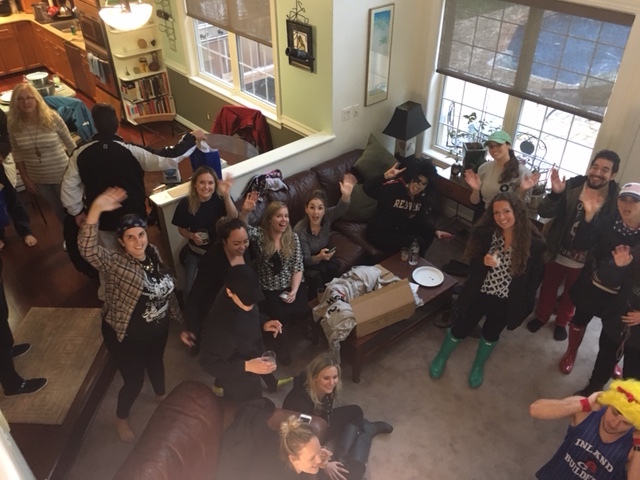 Needless to say, when the last dishes for each team had been presented, the teams escaped their makeshift cooking shelters for the chance to warm up inside while awaiting the judges’ final decisions. While the final scores were tallied, the newbies serenaded the group with Pat Benatar’s “Hit Me with Your Best Shot”. After more than five hours of grueling competition, the winners were announced and the prizes awarded. 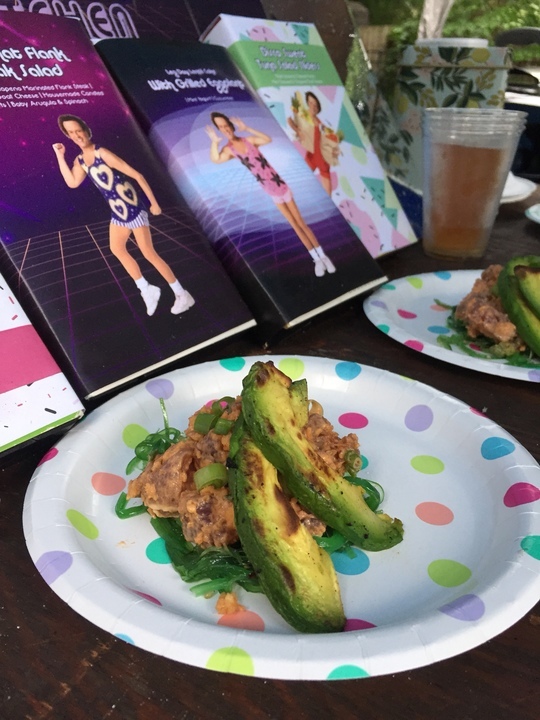 The winning tuna dish was “Dance Your Pants Off Poke”, courtesy of Richard Simmons’ Kitchen, Upscale Casual Dining for the Fit and Fashionable consumer. The ingredients included tuna, grilled avocado, sriracha aioli and panko breadcrumbs served on a bed of seaweed salad. 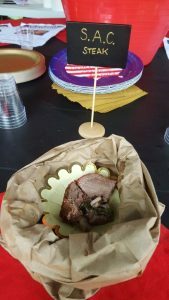 The winning steak dish was “S.A.C. Steak”, a flank steak stuffed with organic spinach, creamy blue cheese and hickory smoked bacon. 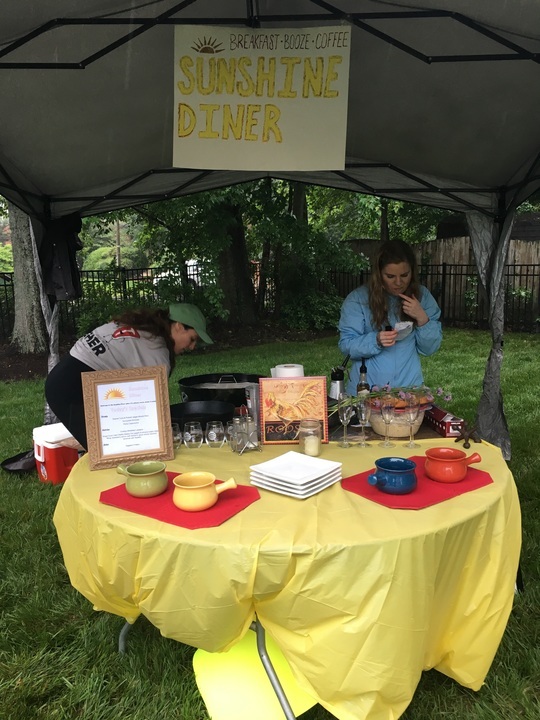 The winning eggplant dish was “Turkish Eggplant Stew”, or “Imam Bayilidi”, which translates to “the priest fainted.” The ingredients included eggplant, carrots, bell peppers, tomatoes, garlic, a hint lemon juice, and a dash of sugar. Garnished with parsley, and seasoned with salt and pepper. 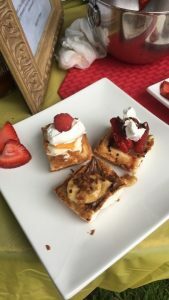 The winning bonus slider dish was an “Angel Food Cake Waffle Sliders Trio”. The homemade angel food cake waffles were topped with three different sauce varieties: peach and almond cream cheese filling, strawberry and lemon with balsamic glaze drizzle, and caramelized bourbon bananas with Nutella. The desert sliders were served with Perky Cappuccino, made with grounds from Perked Up Café. 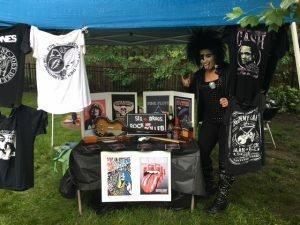 Playing directly into music’s greatest generation, all courses were served Rolled, from ahi Phish tacos and spring rolls, to a “Robert eggPlant Bruschetta” roll. As any rock concert attendee knows, all senses are stimulated, and the ’80’s classic rock soundtrack, and herb-garnish paraphernalia only heightened the presentations of courses served by Paul Stanley himself.